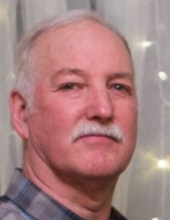 On January 18, 2019, Cecil Ziegler, husband, father, brother, grandfather, and friend, passed away at age 63 from pancreatic cancer. Cecil, known as “Bud” to his family, was born March 26, 1955, to Cecil and Doris Ziegler of Carlton, Oregon. As the youngest of three children he grew up working on his family’s cherry and filbert orchards with his siblings Joyce Dietzman and John “Jack” Ziegler. Cecil graduated in 1973 from Yamhill-Carlton High School and soon after started a career as a logger before taking a job working at the Darigold Creamery in McMinnville. In 1991, Cecil took a position at Cascade Steel where he retired after 28 years of working as a millwright. In his spare time, Cecil enjoyed fishing, hunting and bird watching; he also dedicated many hours to his iron working talents, constructing lawn and garden decorations for his wife. He is survived by his wife of 41 years, Bonnie, sister Joyce (Henry), daughter Michelle, son Jason (Rebecca), his grandchildren Brooke and Riley, and his four-legged children for whom he had a special affinity. A Celebration of Cecil’s life will be held at 11:00 am, on January 24th, at Macy & Son Funeral Home, 135 NE Evans St, McMinnville. To send flowers or a remembrance gift to the family of Cecil Milburn Ziegler, please visit our Tribute Store. "Email Address" would like to share the life celebration of Cecil Milburn Ziegler. Click on the "link" to go to share a favorite memory or leave a condolence message for the family.